The Blogger Mobile templates is something pretty cool, and blogger provides you with 27 mobile templates to choose from. You cannot completely customize the mobile template(as of now) but you can pick any of the available templates. 4. When you are done selecting the template, Click the Save button. You might have noticed a QR code on the Template Selection Screen. Scanning this from your mobile will take you directly to the mobile version of your blog. 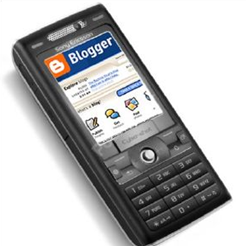 If you visit your blog from your mobile, you should be automatically taken to the mobile version of your blog. How can I use the data:post.thumbnailUrl and data:post.snippet variables to Facebook Like button sharing on the full website? I woulde like to pass the thumbnail and the description from current post to the Facebook sharing. How? today the UI of the backpage (admin page) of the blogger fully change,its look like WP,do you feel it's better? this is a wow ....nice you guys got here. Wow its great. Once again blogger made a good move. hey, I want to ask a question related to mobile='yes' attribute for a widget. I have put that attribute into one of my widget , but when I access my blogger mobile template, the widget doesn't show up. how tu put ads on mobile template? sorry Admins is there no any other mobile template?? or a website maybe where i can get mobile templates for my blog?